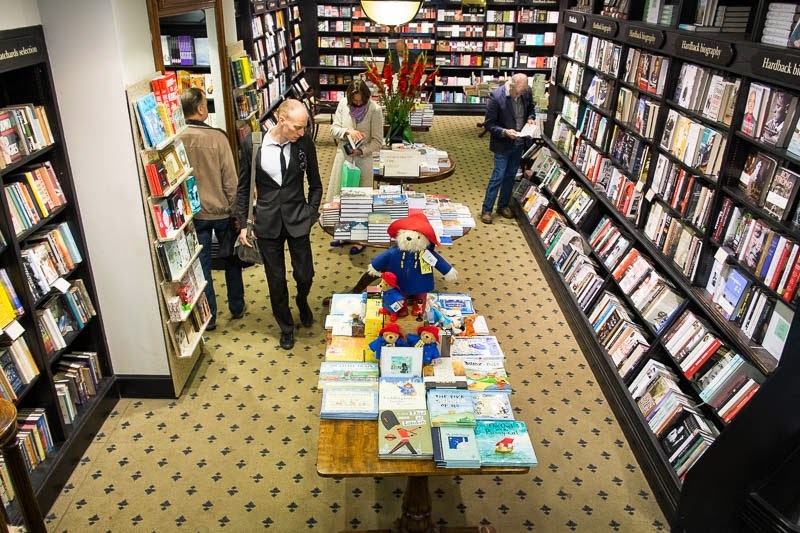 Big comfy chairs, thousands of books, London book stores are a great place to wile away a few hours. And meet a few London icons. I popped into one on my last day there back in November just to warm up but, I enjoyed the look around too! But did he buy anything...? Quite an inviting bookstore, and the bear meets with my approval! Paddington always made my kids and me smile. Tully would have loved to meet Paddington Bear!